The French cinema has just lost one of its pillars. 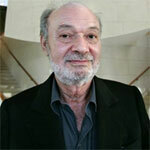 The successful director and producer Claude Berri passed away in a Paris hospital on Monday 12th January, aged 74. “He left us this morning as a result of a stroke suffered on Saturday night” his agency Moteur said in a statement. Gérard Depardieu in "Jean de Florette"
Claude Berri, born Langmann (he took his mother’s name as stage name and added it an “r”), began his ascension in 1963 when he won an Oscar for his short film “Le Poulet”. Nineteen feature films followed, ranging from an adaptation of Emile Zola’s 19th-century novel “Germinal” (1993) to the thriller “Tchao Pantin” (So long Stooge), starring the iconoclast comedian Coluche, in 1983. His most popular films remain probably the adaptations of Marcel Pagnol’s tragic tales of Provençal life, “Jean de Florette” and “Manon des Sources” (1986), which starred Gérard Depardieu, Yves Montand and Emmanuelle Béart. But Claude Berri was not only a director; he was also a prolific producer. His credits included major international productions, such as Roman Polanski’s drama “Tess” in 1979, or the record-breaking comedy “Bienvenue chez les Ch'tis” (Welcome to the Sticks) last year. 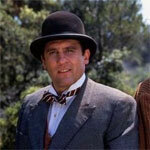 He was also involved in lower-key successes, supporting infamous directors. That way, he produced “La graine et le mulet” (Couscous), directed by Abdellatif Kechiche. This story of an Arabian immigrant who dreams of setting up a couscous restaurant won the 2008 best film Cesar award. Before his death, Claude Berri was directing his 20th film, “Tresor”, starring Alain Chabat and Mathilde Seigner. His partner, the writer and producer Nathalie Rheims, will finish the movie.